I find that Topgrading is one of those solutions that you only appreciate in full force when you see it in action. When you notice your team getting along better, things running smoothly, your days becoming more enjoyable as you spend time with people you enjoy working with and of course, when you see your growth accelerate (but without the stress). 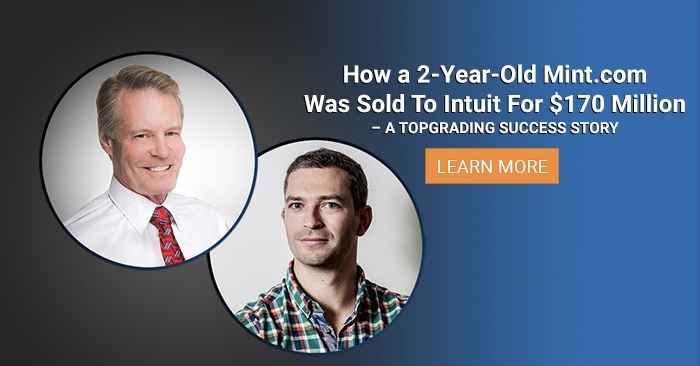 We arranged for a chat with Dwight Cooper, CEO of Hueman People Solutions and Kevin Donnelly, Managing Partner 2020NY, two organizations that found great success using the Topgrading methodology. I really wanted you to see how two very different companies have used Topgrading and just how it has helped change their company culture (to the extent of winning several best workplace awards), retain clients, reduce employee turnover and overall build a space they’re proud to be a part of. We are an HR and recruitment outsourcing organization. Typically our partners would be someone who hires 100 or more people a year and are just looking for a way to do that better. Better might mean faster, better might be better quality hires — it's usually both of those things. So our partners entrust the recruitment process with our organization and the goal is that when we enter into those partnerships, we look and we feel like them. We sometimes think that we can talk about the virtues and benefits of working at their place better than they could before us, because of our high antenna for culture. So our job is to make them 30 to 50% better at recruiting. We've been Topgrading for a long time, I think I might have met Geoff Smart (Brad Smart’s son) in the late 90s. So as a tool for our organization as we grew our internal staff — which we grew from just a few of us to well over 200 — we started practicing Topgrading a long time ago. It all starts with being able to thoroughly vet a candidate on the track record of success around their careers, and around our culture and values. We need to be able to match it with ours and so we use Topgrading to do that in our organization internally. We like it so much that we want to spread the love to our partners and to some of these organizations that we partner with. We are recruiting up to a certain point, but they still make the hiring decisions and we want them to be better Topgraders. 40 of our recruiters became Topgrading certified in Growth Institute’s Masters level class with GGI. We're now not only sharing that love but spreading it with our partners and we think everybody on the planet should be Topgraders. My view on business has always been — whomever has the best people and has those people doing the right things and giving discretionary effort, then that's where you win. So for us it started with creating a great work environment, a work environment that people wanted to come to, that would excite them to be more engaged. If I'm an employee I want to work at a great place, if I'm a customer or an owner I want to have an engaged workforce. So we've been able to sort of link those two things together — we've been recognized by not only the Great Place to Work Institute in Fortune magazine on the national list, but we've also been recognized by the Gallup Organization as one of the 35 most engaged workforces in the world. So it really all started with building our business around our purpose and our values. Being very prescriptive and deliberate about having the culture that we wanted to have. That's what a friend of ours, Jack Daly, would say — have a culture by design not a culture by default. So we work really hard at having a culture by design. It didn’t start that way though. There was a time we were at a choke point for our internal organization, so we had two or three of us that had become proficient in Topgrading, and practiced it over the years. We'd gotten to the point where we were adequate, we were doing a good job with our internal staff. But that choke point wasn't sustainable, we needed to grow our business faster and so once we had more people in our team to help us build an internal staff, that was an important part of it. But the second most important part of it is the value it added to our partners. We hire 15,000 people a year, on behalf of our partners. Being able to take our Topgrading principles and our expertise; having 40 of us on the team that have certification in that area; being able to take that new set of skills and proliferate it out to our partners; has really helped us grow our business. Its helped us retain our partners — it looks and feels different than anything most of them have experienced before. They're using our recruitment services but they're also doing a better job of making the ultimate selection of candidates and have better retention amongst their internal staff, which makes for happy partners for us. Our retention rate amongst our clients is way up post Topgrading. Maybe there were a number of factors included, but it would be difficult to overestimate the importance of Topgrading and that retention of our business. From a hiring perspective we are hiring more people than we ever have with the same number of recruiters. Typically we would have about a 30% turnover in our partnerships every year and so sometimes we were a quick fix, and a temporary fix. We had to look for ways to add more ongoing value. Since our implementation of Topgrading those numbers came down from 30% to about 15%, which you might imagine makes a huge difference in our financial results of our business. I think that organizations often think of the Topgrading training as something that maybe only a few people and their HR department may benefit from. My view of Topgrading is to proliferate that through the organization. As the CEO, I Topgrade — I sit in on panel interviews where Topgrading is going on. We have 39 other people who are able to do the same thing. Not only does it help them have that tool as they interview folks and try to evaluate them for the organization, but on the periphery, as they screen and sit in on interviews and meet new folks in the organization. I think having us aligned on this issue of Topgrading while we're looking for a real track record of success, has been an important culture change in our organization. I would recommend it, the more the merrier. Topgrading is my secret sauce. I launched Speedwire in 1997, and I ran it until just about three years ago. We were a technology deployment company, so we did installation work for large companies like Verizon and AT&T. We scaled the business dramatically in the last couple of years. We hired about 500 folks in a two-year time period, and I knew that I was going to need a strategy to get good people. We hired the Topgrading organization to come and do some initial training. Then, we worked with Gazelles Growth Institute to roll it out across the country in all of our offices. Really, one of our big success makers was our ability to really get A-Players, as the cliché says. 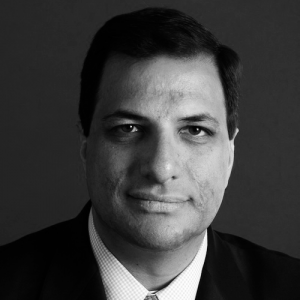 By the time we sold Speedwire, we had about 600 employees in 30 cities. PremiseLink is my new venture where we work for one of the largest providers of insurance for mobile devices. We now have about a dozen employees, and they're out going into homes and businesses and repairing cracked phone screens. We need to make sure we're getting technicians that not only have the technical skills, but also have great customer service skills. 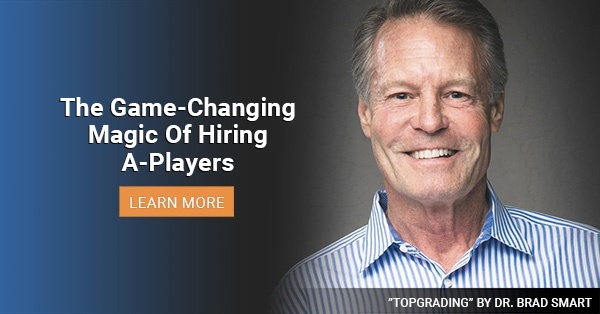 We're able to build our candidate profile and recruit and focus on getting top players using our Topgrading techniques. One is the software as a service where the candidates will complete a career history profile. The second one is the whole methodology around interviewing and so forth. Really it's a playbook that if you implement across the organization, it becomes part of the culture. Everybody's aligned in terms of recruiting A-Players. If you can (as the business owner) stack the deck and your team with A-Players, your life is going to be a whole lot easier. In our business, we get measured on what's known as our Net Promoter Score. As our technicians go into people's homes, usually there's a survey that the customers would fill out. We're measured against our competitors around the country. Our goal is to be the number one firm in the country, and I did that at Speedwire, and I'm doing that today. I believe that's all because of our ability to recruit and select A-Players. What's interesting is the Topgrading process is very different. I think candidates who go through the process are not used to such thorough interview processes. I’m pretty sure at first, they're a little put off by it. Then, however, as they go through it and make it through the process and they end up in the final interview, particularly with somebody in a senior role like myself, they're really impressed by it and impressed by the fact that we are going the extra mile to hire rock stars. We've had very, very low turnover as a result of recruiting strong players. Everybody wants to be there and feels a sense of accomplishment that they actually got the job after such a lengthy and detailed interview process. Speedwire had 600 employees in 30 cities, while PremiseLink has around 12. So it’s a lot more easier to Topgrade with PremiseLink. We're operating really in one region of the country right now, so there's a limited team that needs to get up to speed — and thanks to Speedwire, we already have previous experience. In Speedwire, the challenge was really rolling it out to all these regional offices. We had 30 offices, and we had a central large recruiting organization that would serve up candidates. We needed to train the managers in each one of those locations. That's where the Gazelles Growth Institute was great, having that on-demand Topgrading training where we could really bring people up to speed quickly. Then, you combine that with the fact that the Topgrading software-as-a-service provides the interviewer with an interview guide. Really the brilliance of the software-as-a-service is, it gives the script for the hiring manager. They understand really what their mission is, in terms of being thorough and really getting to know the candidate. When you go through Topgrading training, the first thing they teach you is the cost of a mis-hire. To me, the thing is when you're trying to build the team, here in New York, we're shooting to be like the New York Yankees. What happens is when you build this culture around A-Players, as the owner, when somebody slips through and is not an A-Player, who is a slacker, it's their peers who call them out. That's really where you need to get to. It's not just you as the boss or the owner trying to figure out where the holes are. It's really the peer accountability. I think that's really, to me, the most powerful part of building this A-Player culture. As an entrepreneur, it's all about making your life easy. If you have good employees that are engaged and care, life is good. When you have problem children all over the place, life is not good. That, to me, really is the secret sauce, is just stacking the deck with the people that want to be there and are highly engaged. And that’s what Topgrading allows me to do. Like this article? Let us know what you think or post your questions below.